High Performance Feed For High Performance Cows Highest quality ingredients produce highest quality feed. All our products are manufactured under quality assured conditions. 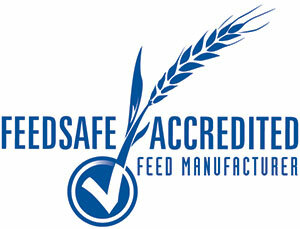 Irwin Stockfeeds is feedsafe accredited. Our modern fleet of Scania and Volvo trucks are well maintained, regularly serviced and operated entirely by employee drivers who take responsibility and respect not only for our equipment but for our clients and the general public. We source product throughout the year and at harvest time, offering grain growers the option to sell on a spot load basis or on contracts which comply with Grain Trade Australia specifications. Irwin Stock Feeds specialises in seasonal feed requirements and ration formulation to suit the individual needs of your farm business and provides ongoing after sales support to ensure you have the tools to maximise production and investment.